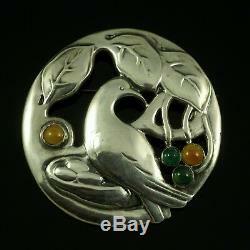 Danish Art Nouveau Silver Brooch with Amber and Green Agate - Thyra Vieth. Vintage' Product - no VAT added. The item "Danish Art Nouveau Silver Brooch with Amber and Green Agate Thyra Vieth" is in sale since Friday, September 22, 2017. This item is in the category "Jewelry & Watches\Vintage & Antique Jewelry\Fine\Art Nouveau/Art Deco 1895-1935\Pins, Brooches". 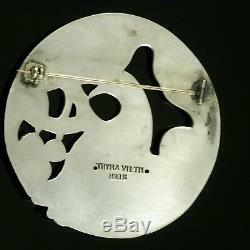 The seller is "silvergroupdenmark" and is located in Aarhus C.